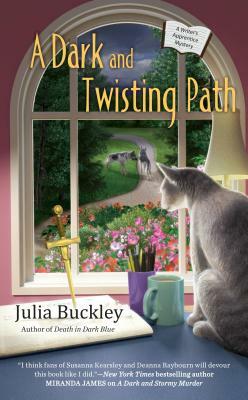 Julia Buckley is a Chicago author and teacher. A lover of mysteries herself, she spent her teen years absorbing the wonderful mystery and suspense fiction of the 20th Century, all of which helped to influence what she writes today. Her published series include the Writer's Apprentice mysteries, the Undercover Dish mysteries, the first in the Teddy Thurber series, and the Madeline Mann mysteries. She is a member of the Mystery Writers of America, Sisters in Crime and the Chicago Writer's Association.